For new gardeners; first registered, first chance at an available plot. Payment is due by March 31 or when you register whichever is later. For returning gardeners, you need to register by Feb 28 to preserve your right to your old spot. The YCGC would like your opinion on growing and gardening in Yellowknife. The survey asks for comments about crops that did well or poorly for you and about your YCGC garden site. This will help us build our recommended crops list and provide direction to the new board on YCGC activities. The survey should take less than 10 minutes to complete. 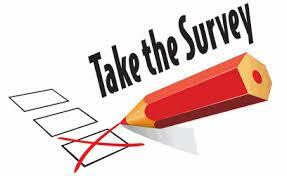 You don't have to be a garden member to participate, just indicate that you aren't when asked in the survey. This may become an annual survey, to better assist new (and not so new) gardeners, so please provide ideas to improve the survey. “It looks like Bacterial Ring Rot" has been discovered in Yellowknife. This was 2016, no BRR was reported in 2017. “This is an extremely serious disease. It is very important that the entire community acts at once as this can wipe out all of the potato crops in Northwest Territories. “ Dr. Stephen Brown University of Alaska. Yellowknife Community Garden Collective Priorities. Check them out! Want to know more about the YCGC's History? A short history of our collective was prepared by Vera Raschke, a YCGC "veteran". Thanks Vera! Want to learn more about how other community gardens are managed and operated? Thank you to our most recent sponsors!